Did your friend get pregnant even though she wasn’t really trying? Did your co-worker get the managerial position that you were waiting for? Are you still single while most of your friends have already gotten married? 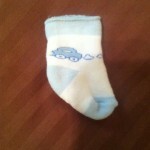 What about that new car? New house? Amazing vacation? The list could go on and on of what others have that you might be waiting for. 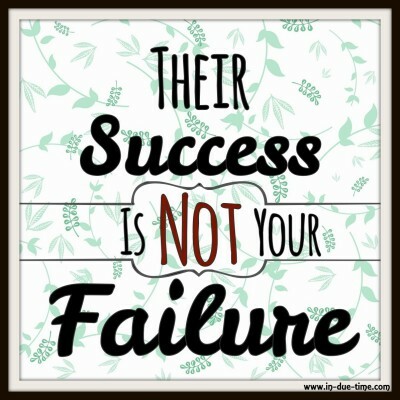 Did you know that someone else’s success doesn’t mean that you are going to fail. Others might have the exact thing you want, but that doesn’t mean you will never get it. Aren’t the two mutually exclusive? Does it matter if someone else has what you are waiting for? Does that prevent you from receiving it too? Can we all stop comparing ourselves to others? We are all on the same team, right? While there is so much I can’t wrap my mind around about God, I can tell you that he hasn’t ever thought to Himself “Darn, I ran out of babies to bless couples with” or “If I give her friend a husband, I guess she won’t get one.” Am I right? Just because someone else got pregnant, doesn’t mean you never will. Or just because someone else bought a house, doesn’t mean it’s never going to happen for you. It’s impossible for God to run out of blessings. 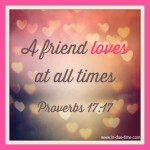 He has abundant life for you and your friend and your friend’s friend and so on. He has got it completely under control and He is definitely not going to run out of babies or husbands or new jobs or finances or health. Don’t get trapped in believing a lie that someone else’s success means failure for your future. You know who does dictate your future? God, so choose to focus on His promises and what He has for you. He is for you and when He is for you, absolutely nothing can be against you, not even someone else’s breakthrough of receiving a blessing that you are still longing for. 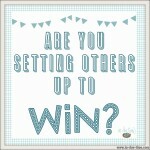 Are You Setting Others Up to Win? Very true and something I think we sometimes forget to realize!! It’s so easy to be wrapped up in jealousy and sadness for our situation in comparison to someone else’s. We also have to remember that we have things that others want as well. This is exactly why I try to count my blessing often!! 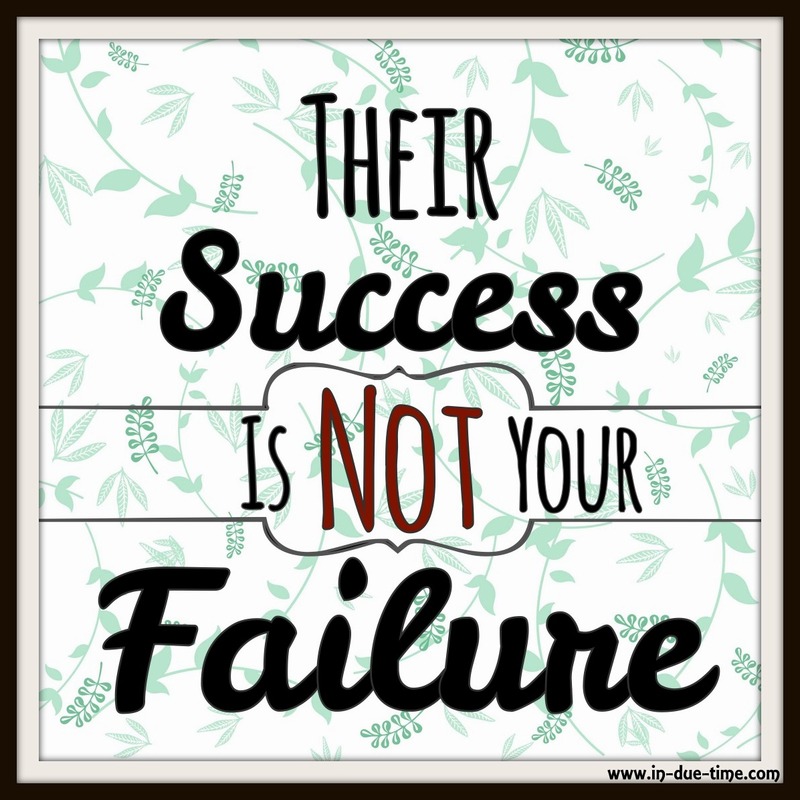 This was one of the biggest realizations that turned the page in my infertility journey. One day, I just woke up and thought, “How selfish of me”. How could I turn someone else’s joy, someone else’s success into something negative? How could I make it about me? It’s been my saving grace in keeping my sanity through this whole process. Every pregnancy announcement, baby shower invite, etc. doesn’t hit quite as hard as it used to. Every now and then I feel a slight tinge of something when someone announces their pregnancy, but then I just remember that God has His reasons, and it’s just simply not about me in that moment. Its impossible for God to run out of blessings – I SO LOVE THAT! We do live in a world of jealousy when everyone’s accomplishments are in our face so much.. .but we are ALL children of God. Let’s cheer each other on!! Even while we’re waiting on our blessings! Such a great perspective, Caroline. The enemy tries to use this against me when I hear of calamities of others. He is such a liar. One day, I had heard horrible news about someone else, and I got so upset, and the enemy was trying to convince me that this same thing was wrong with or would happen to me. The Holy Spirit so gently spoke to me, “That is not your story. That was her story…not yours.” He showed me that each of our crosses is different, and all of our trials are unique to us, as individuals. I guess this is the flip side of what you are saying here, but sort of goes along with it, too. God has an individual plan, and like you said, just because things happen in the lives of others (both good AND bad), that has nothing in the world to do with what He will allow to happen in ours. 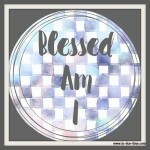 He has manifold blessings…and one time He told me that He has blessings that have never even been tapped into!! Thank you for this wonderful encouragement. Love this! Wonderfully said. Amen sister! Thank you so much I had to share this on my Insta and my Pinterest. I so often see people down and complaining about what someone else has or what someone else got, and especially that someone else is pregnant! 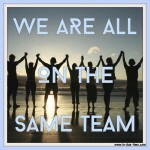 We are all on the same team! We rise by lifting others, not by wallowing in self doubt and self pity. It’s far too easy to fall into that trap, but this is truer than true! In reality we need to be rejoicing with one another and realizing that if God will do it for them he will surely do it for us because he shows no partiality. We should be encouraged by his goodness! I love this post. I always encourage my clients to celebrate the success of other people. This is such a great thing to keep in mind. I used to have serious friend envy and it has taken a lot of personal growth to be happy for other people when you may not be happy with your own life in the same area! So very true and really can be applied to so many areas of life; that is why it drives me crazy when people try to tear each other down if one is successful; why can’t we celebrate each others successes. This is such a great reminder. I also always try to remind myself that I don’t know their story. That was one thing that really helped me when I saw pregnant women when I was out right after my first miscarriage. Before I would wish it was me, after some soul searching, I would always just say…she could have gone through what I did. I needed this reminder today – thank you!!! Fantastic post and something that I struggle to remember. Great quote! Very encouraging read! Such an amazing post!!! Great insight and so true. God’s master plan is so much great for us than we can attempt for ourselves! This was very encouraging to read. Others success doesn’t mean we can have it too. What a great reminder! Thanks for this reminder, friend. I often wonder why why why we women compare so much? It’s such a trap and not at all how God want us to live. I think it is because our focus is not on Christ but on everything else. We gotta be who God wants us to be – and no one else! This was a difficult lesson to have to walk through. Sometimes it did feel like there wasn’t enough to go around but I couldn’t let myself dwell in that realm for long. I love this perspective. I’m going to share because I think these days we seem so quick to judge, quick to jealousy and we hardly take time to release we’re all winner through Christ. Great Post! Great topic! You are right on the money when you talk about comparing ourselves to others. Definitely a point worth making, especially when it comes to our peers, and even fellow bloggers. There is plenty of awesomeness to go around so we should share it all. Great read! Sharing! It’s an awesome reminder that God never runs out of blessings. I love that when God makes things work out for someone, it doesn’t mean He can’t make things work out for everyone else too! He gives us blessing we never even realized we wanted. Well said, Caroline. 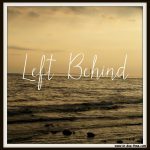 That left behind feeling has probably hit all of us at one time or another. One thing I’ve had to come to terms with is God works on His own time table and mine. We all have to learn to stand on His promises and pray without ceasing. Thank you for this reminder!! I’m too often comparing my beginning to someone else’s middle.. Not a good thing to be doing!